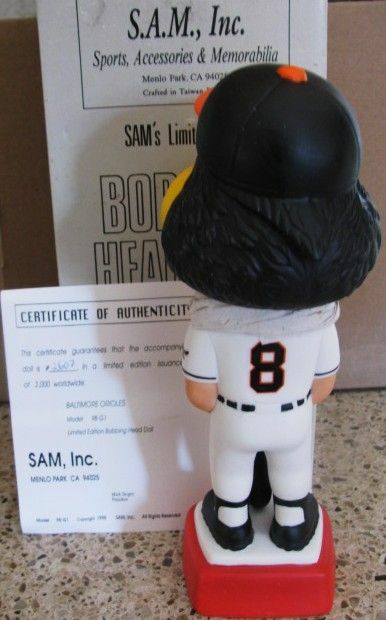 This great looking bobbing head comes from a recent but hard to find series issued by Sam's. 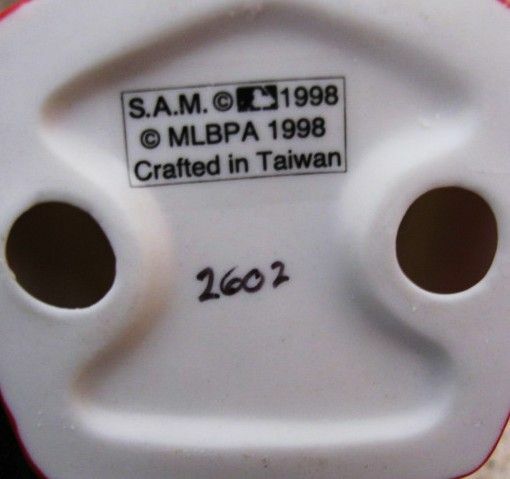 Unlike the majority of their dolls, these dolls feature Major League Baseball mascots instead of actual players. 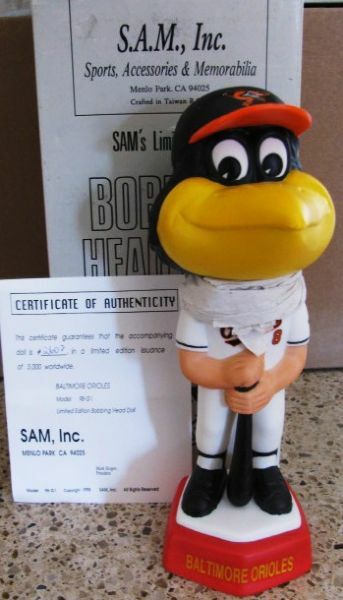 This one is of the Baltimore Orioles Mascot. It's about 8.5" tall and is in mint condition. It comes with its original box and COA from the company.